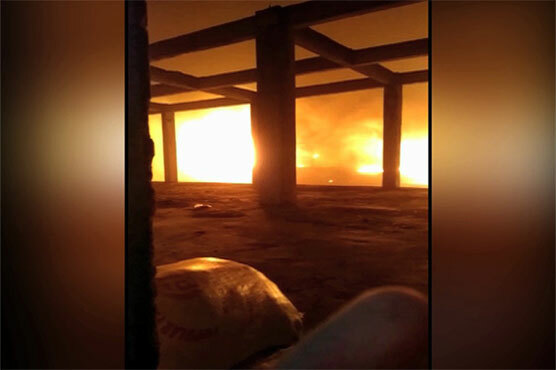 KARACHI (DNA) – Fire erupted at a towel manufacturing factory situated at the SITE Super Highway in Karachi on late Sunday night.The fire spread very quickly and also engulfed another nearby building. At least six fire brigade vehicles arrived at the spot and are taking part in operation to extinguish the blaze which is still raging.The cause of fire is not yet known. No loss of life was reported in the incident till filing of this report.